380 x 270 mm (15 x 11 inches) - xxxi, 143pp. VG : in very good condition without dust jacket. Cover rubbed. 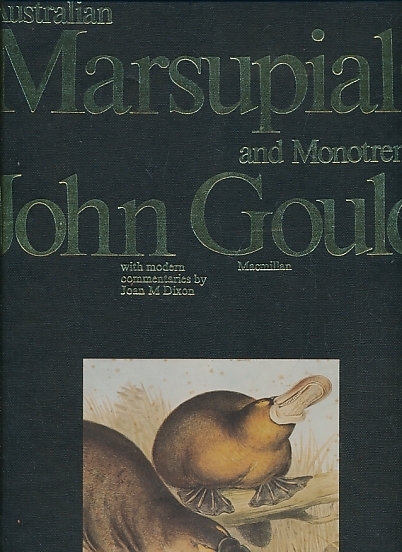 The Gould plates and text appearing in this edition were first published in 1863 as Volume I of The Mammals of Australia.